Our connection with Meaghan goes way back. As in she went to junior kindergarten with Arica! She also happens to one of the first clients ever photographed by Manifesto! As such, we were overjoyed when Steve and Meaghan decided to book us for their wedding. 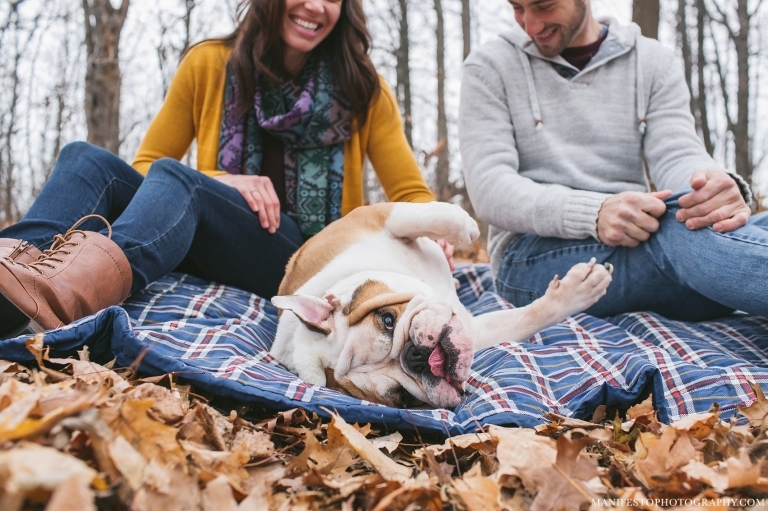 Steve & Meaghan share a love for travel, the great outdoors, and their English Bulldog Rolland (aka Rollie). For their session, we wanted to incorporate their sense of adventure and passion for camping. We decided that late November would be especially beautiful for this session to take place, although it was pretty chilly out! Everyone stuck it out for the vision, and we think it was so worth the effort! Even Rolland begrudgingly participated in our outdoor escapades. 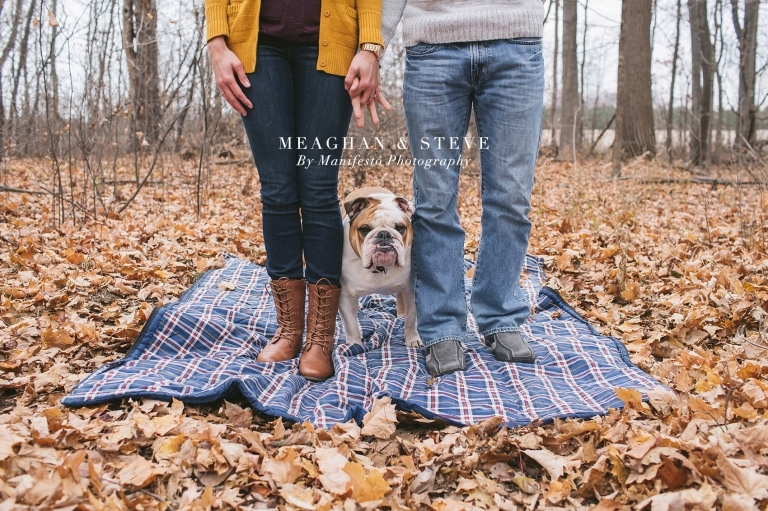 Steve and Meaghan, it’s been so wonderful to get to know you as a couple! You are a perfect fit for one another. Together with Rollie, you make such an adorable little family! Can’t wait for your big day.